Perfect addition to any holiday meal – and you are about to be set free, free, free, free, free, free, freeeeeeeee – from the reign of intimidation these light and airy puff balls have thrust upon many a cook, in many a kitchen over as many years. If and when we summon up the courage, we only seem to dig that deep when roast beef’s around or we’re holding the winning ticket to the lottery – well get ready to cash in – popovers have gone mainstream, ready to show up every single day to sop up anything that well – needs sopping up – any gravy, sauce, soup or stew you’ve got going – and that’s just the beginning! After the sopping – enter slathering, swaddling, squeezing and stuffing with anything you can dream up – a smear of cream cheese and a little jam, a piece of smoky ham or bacon, a wedge of cheddar and a slice of apple, a spoonful of chili, pizza fixin’s, meatballs, anything from the grill, any and all salads – whipped cream & chocolate sauce, a perfect little ball of ice cream, lemon curd, any custard or mousse, stewed fruit … do you see where I’m going with this? 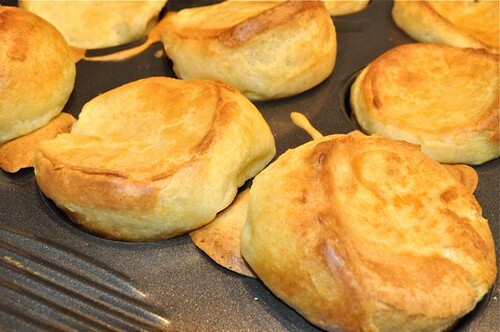 Popovers can show up at breakfast, lunch & dinner and every hour in between – so whip up a batch and start sopping, slathering, swaddling, squeezing and stuffing – you’ve just mastered another classic! This is your goto formula for success – as long as you have a screamin’ hot oven – you simply cannot screw this up! 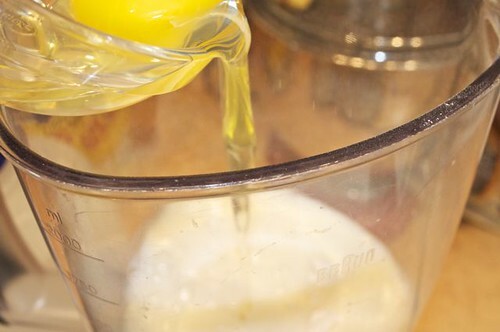 Your blender does the mixing and your oven does the rest. The downside? 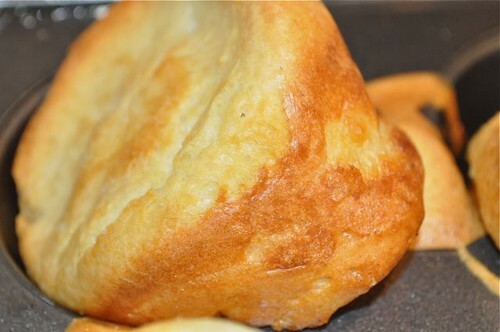 You’ll now be the official purveyor of all things popover! 1. 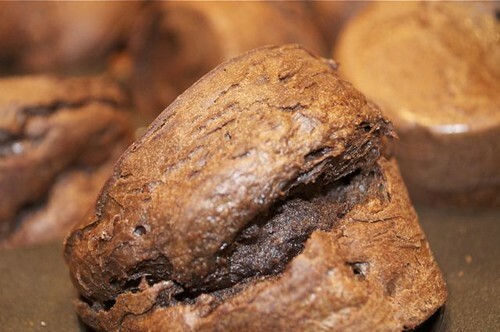 Put you muffin pan on the front and back burners over medium-high heat. 3. 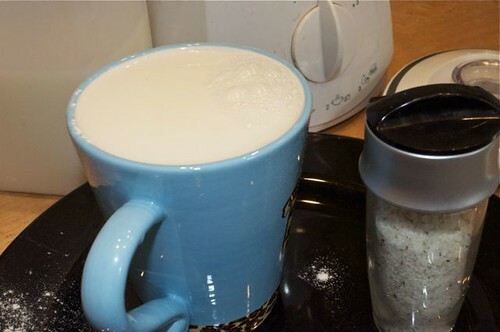 Measure the milk and a generous pinch of salt. 4. 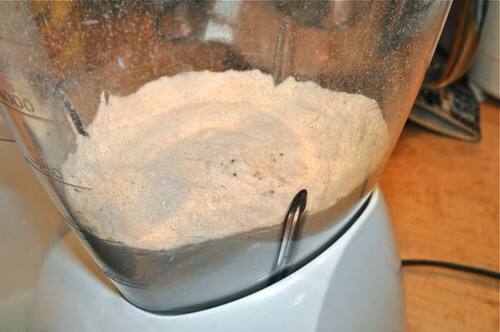 Put the flour in the blender. 5. 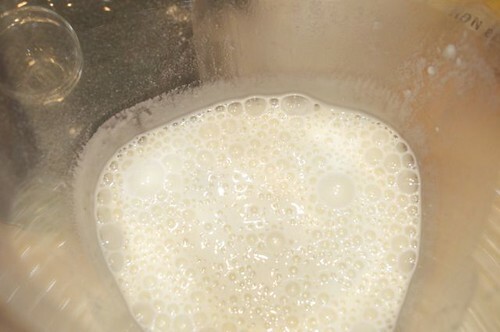 Put the milk in next. 7. 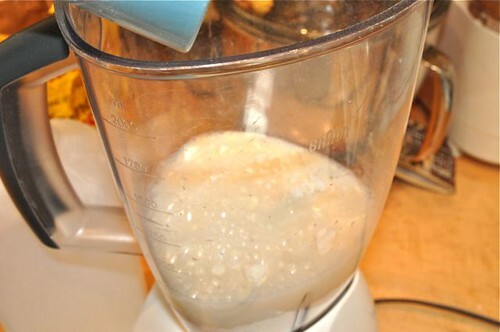 Put on the lid and give it a good whiz for 30-40 seconds. 9. 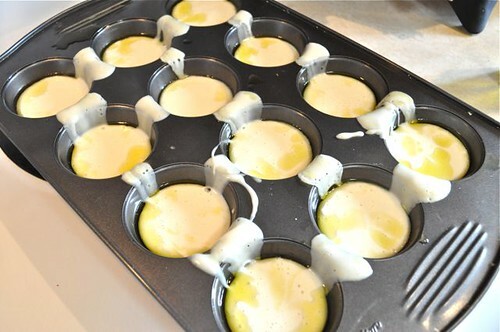 Drizzle olive oil quickly over the pan in smooth strokes. 10. 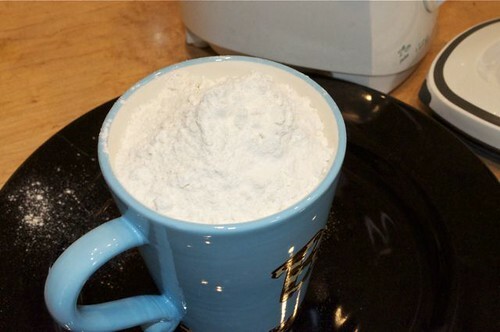 Do the same with the batter. Don’t worry about the drips, they turn into crispy bits everyone will fight over. Put in your hot oven until puffed and golden. 11. Until they look like this. 12. 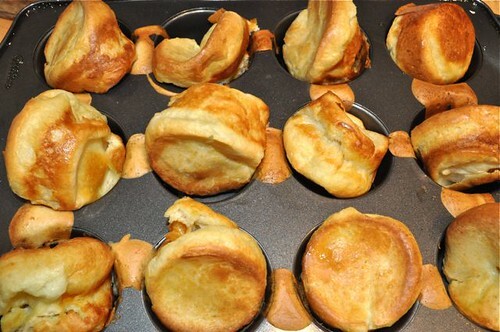 Allow to cool and watch them disappear faster than you can say “Hey, what happened to all the popovers”! 13. And this would be why you should double the recipe! 14. 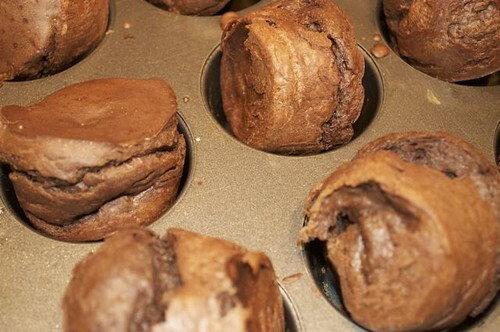 Guess what happens if you make them with chocolate milk, cocoa powder and a little sugar? Couldn’t resist showing you that! 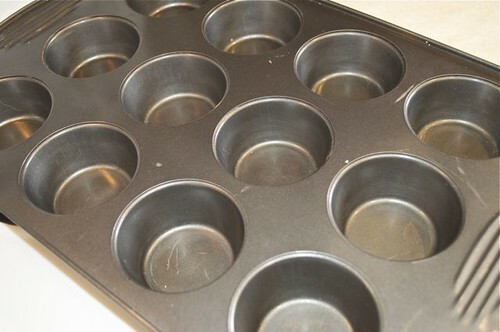 Preheat the oven to 450° and preheat a muffin pan either in the oven while it’s warming up, or on top of the stove – just lay the pan over 2 burners over medium-high heat. 2. 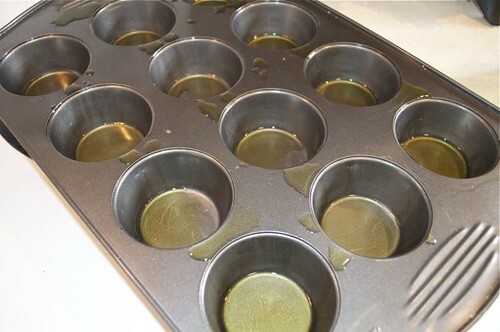 Drizzle vegetable oil or olive oil over the muffin pan, getting a little oil in each. 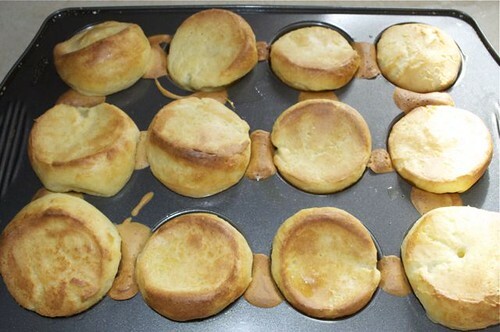 Do the same with the batter and bake in your preheated oven until puffed and golden – 45-50 minutes. 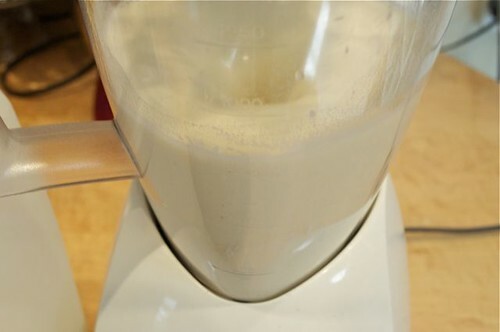 Add a hit of any herbs, spices, blends or rubs to the batter for added flavour.